I wonder if anyone else caught that the billboards are grammatically incorrect. 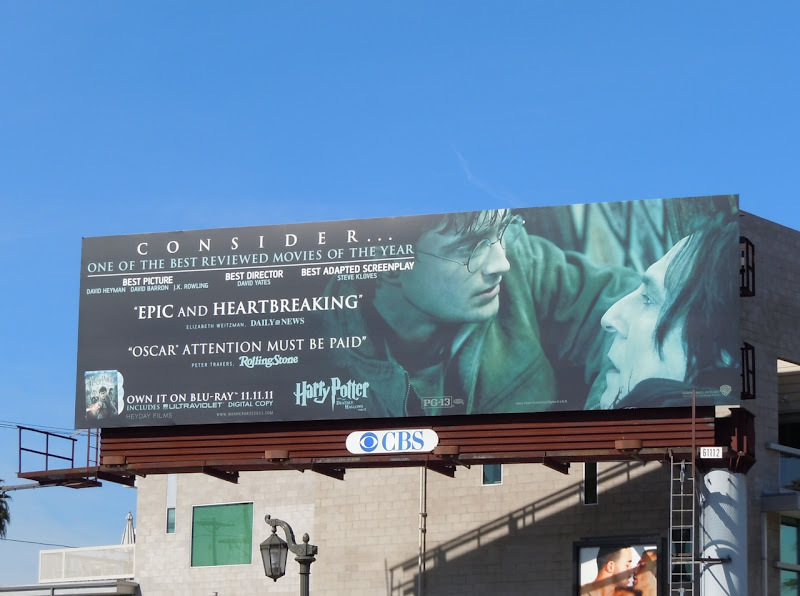 It says "Consider one of the best...", shouldn't it be "Considered"
These are really cool shots though! 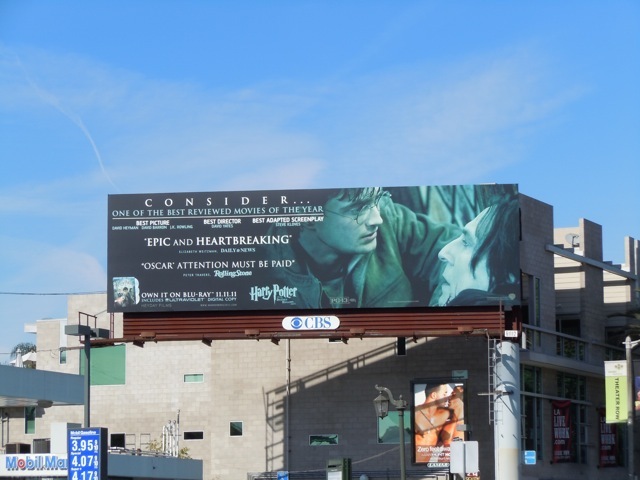 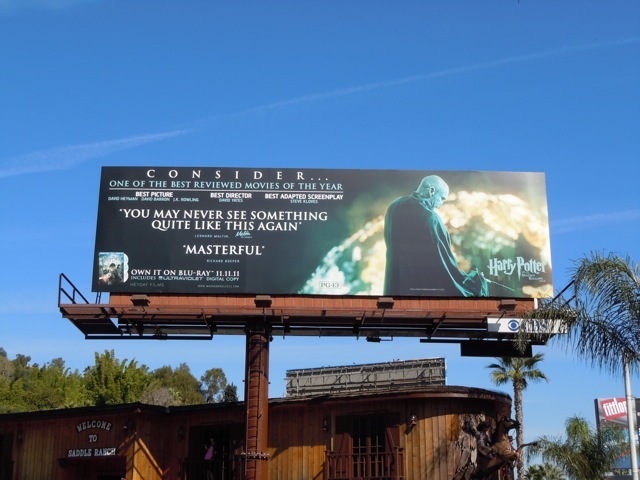 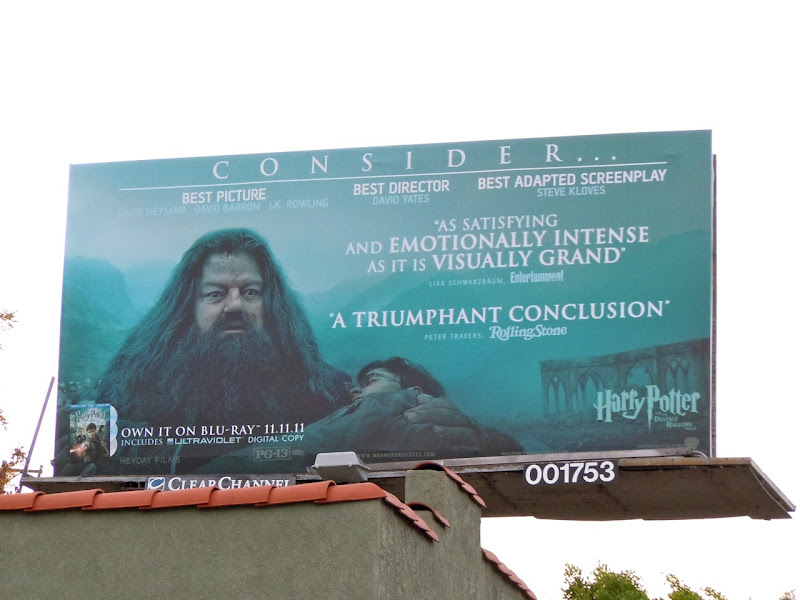 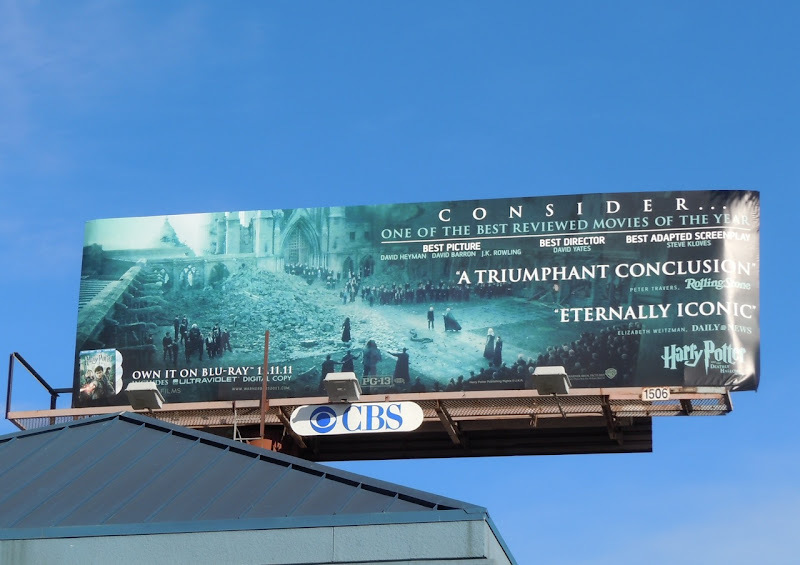 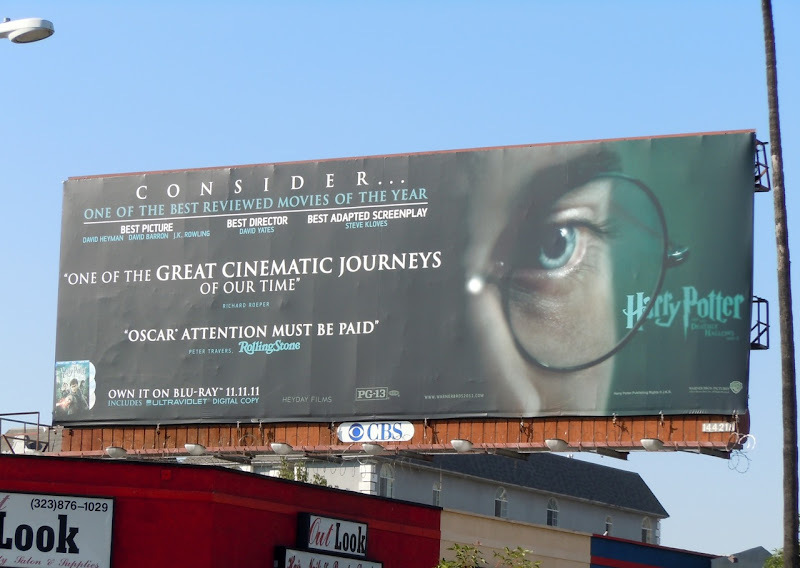 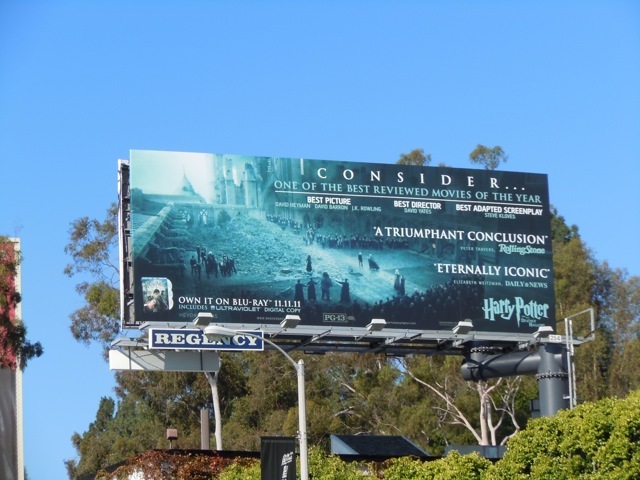 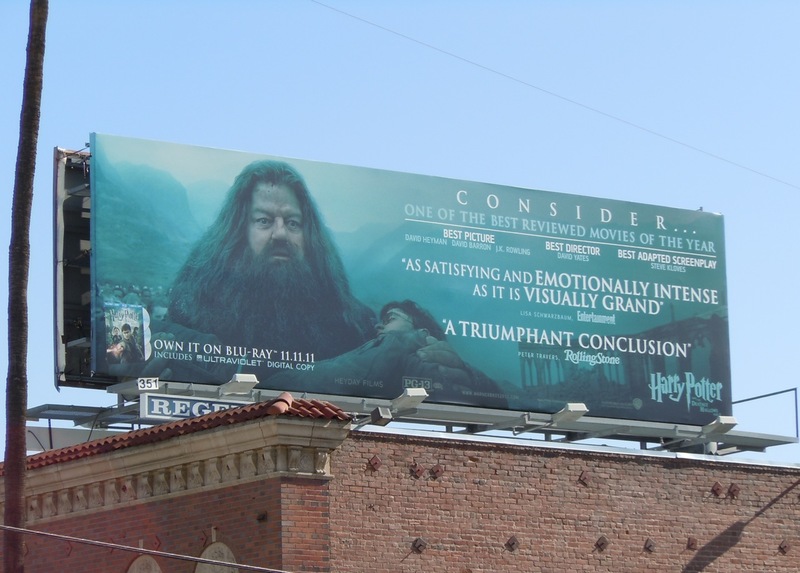 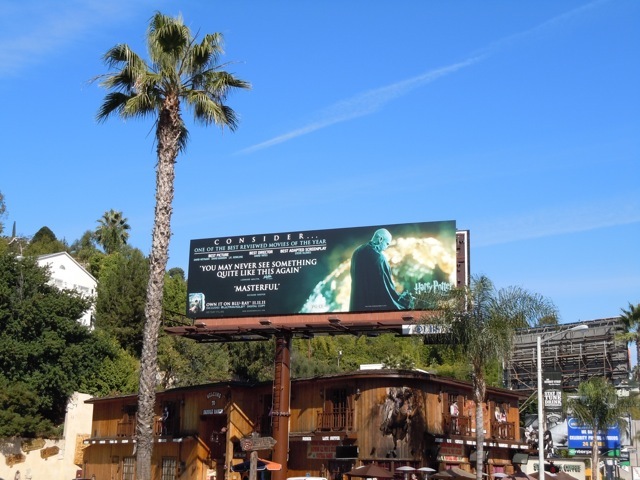 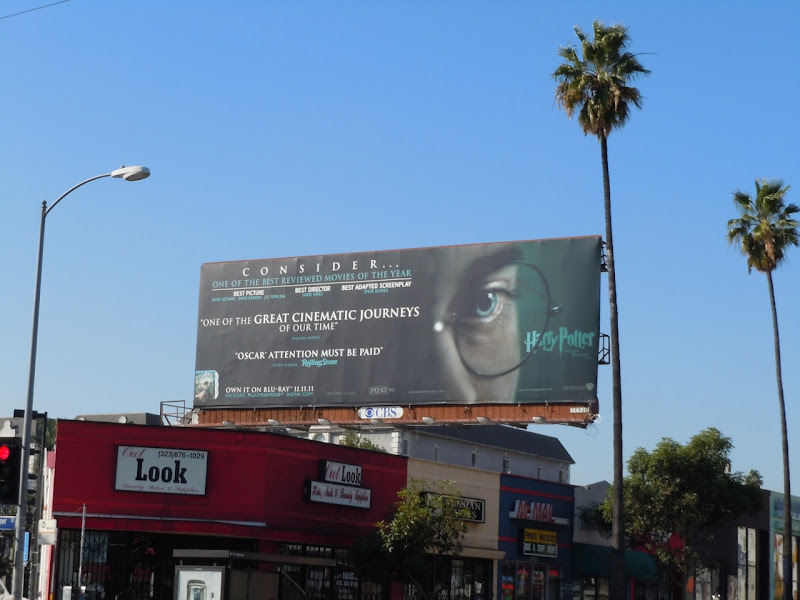 In other circumstances you may be correct, but in this instance these billboards are mainly trying to encourage Oscar voters to vote for the final Harry Potter movie, so 'Consider' the film is what it wants them to do.